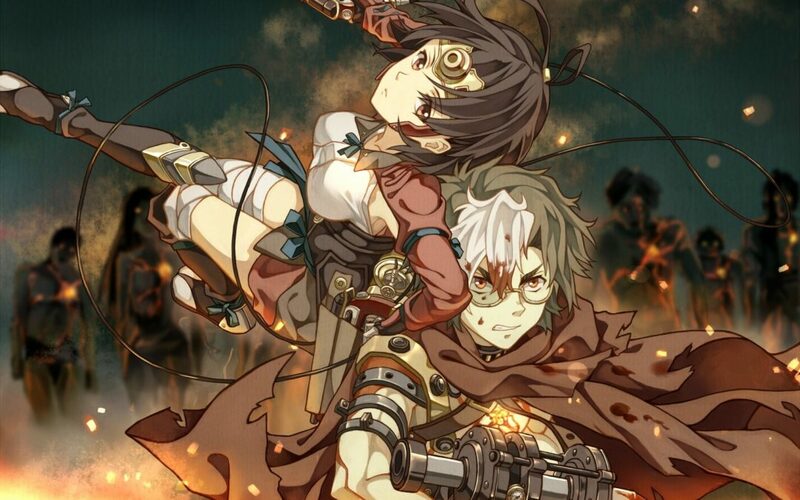 In the fall of 2016 WIT Studio animation-staff, Tetsuro Araki and Yasuyuki Ebara came alongside animation producers Nakatake Tetsuya and Maiko Okada in order to promote their latest anime, Kabaneri of the Iron Fortress. Tetsuro Araki is a well-known anime director behind blockbuster shows like Death Note and Attack on Titan. He has been working together with animation director Yasuyuki Ebara ever since their collaboration on Highschool of the Dead. Moreover, Nakatake Tetsuya is one of WIT Studio’s co-founder and has been implicated in all of the company’s works since its creation. We were able to meet with them and talk about the studio’s creative process as well as how they handle the production of their shows. M. Araki, in an interview with AnimeAnime you said you took inspiration from Gundam’s White Base for Kabaneri. You also mentioned working on Gundam G Reco was a dream come true. Can you tell us more about your relationship to Gundam and Yoshiyuki Tomino? Tetsuro Araki: I am a massive fan of Tomino’s work since I’m little, especially Gundam. I have always loved his work, but I never had the chance to work with him in the past. With G Reco I finally had this occasion to work with him alongside M. Ebara too. We learned a lot from that experience which we then also applied on Kabaneri. I have kept in contact with M. Tomino and asked him for advice since. How did you end up calling Haruhiko Mikimoto to work on Kabaneri’s Character Design? Tetsuro Araki: At WIT Studio there are many animators specialized in animating action scenes we wanted to emphasize their work. We also wanted to produce an animation which would satisfy the current watchers. 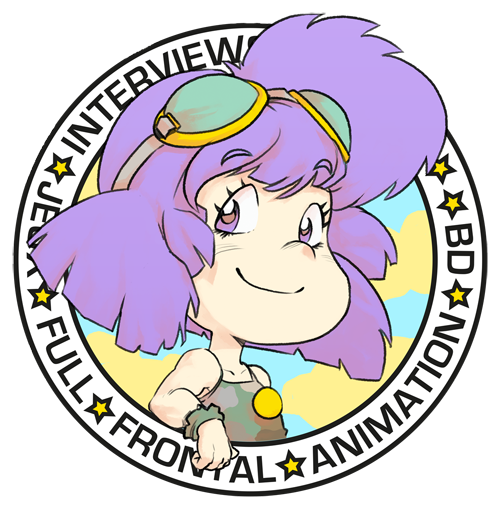 That’s when we asked ourselves “How about doing animation which would look old without feeling old?” We took inspiration from several shows from the 80’s, and that’s how we ended up asking M. Mikimoto to participate in the conceptual Character Design. We also took inspiration from older shows concerning the writing, for example, Gundam and its White Base, because we wanted to tell a story in a way which has not been seen in a while. M. Ebara can you tell us about the differences between animating on a show like Rolling Girls compared to a show like Kabaneri? Yasuyuki Ebara: Regarding Rolling Girls, it is an anime which really should look like manga. We can allow ourselves to stretch and deform the bodies. It is not the case on Kabaneri which has to look very realistic. We had to respect that while working on the show’s animation. M. Ebara you are credited on the last opening of Jojo Diamond is Unbreakable. What scene did you animate? Did you enjoy working on it? Yasuyuki Ebara: Jojo is work I love, so I took great pleasure working on it. I worked on the last cut of the opening where all the stands appear. M. Araki, what were your inspirations while working on Kabaneri? We already talked about Gundam, and I could also feel some Overman King Gainer and Snow Piercer, is there anything else? Tetsuro Araki: You’re exactly right! They are works I love from which I took much inspiration. I have nothing else to add. Some of your works together were some significant blockbusters. What look do you have on your careers? Tetsuro Araki: I have 16 years of experience behind me. At first, I thought I had done a decent job. However, when I look back on my works today, I realize I still have a long way to go. I have many points I need to improve in my work. Yasuyuki Ebara: Until my first encounter with M. Araki, I merely was a key animator. Thanks to M. Araki I was brought to work on more demanding occupations with more responsibilities. It was a step forward in my career, yet I also have a long way to go. M. Araki when Kabaneri’s airing started you announced Kabaneri was the occasion for you to correct the mistakes you had done on Guilty Crown. Now that the show is over do you consider having reached those expectations? Do you think you were able to entertain the watchers? Tetsuro Araki: I did say that, and I guess I did achieve my goal since my primary goal was to create a charismatic character which could be liked by everyone and would push people to watch the show. I think I was able to do it right on Kabaneri. On Guilty Crown, we were focused on the story, and the narration was all about the plot and not the characters. This time, while still focusing on the story we did our best also to write better characters. What kind of relationship does WIT Studio maintain towards Production IG? Also, with what ambitions in mind was WIT Studio thought? Nakatake Tetsuya: While we were working on Guilty Crown we realized that the quality of the production was at its peak and that we needed a new environment. I went to talk with Production IG president Mitsuhisa Ishikawa about it, and he asked me: “Do you wish to create a business or works?” To what I answered I desired to create works. M. Ishikawa told us he would support us and we left the IG group. Concerning the creative side of WIT, we are entirely independent. However, on the administrative side as well as for facility we have Production IG’s help. Our first big hit, Attack on Titan, could be fluidly created as we were able to focus on the creative aspect of the production. We now start to handle the administrative tasks and accounting by ourselves, little by little. We are gaining independence and will be able to grow further. As a huge The Blue Hearts Fan I loved Rolling Girls. How was the project born? Has the will to pay homage to the group been there from the start? Nakatake Tetsuya: I wanted us to create a work in a different genre from what he had done at the studio before. The screenwriter Mutou Yasuyuki had just finished working on Sengoku Basara. Since Sengoku Basara has a mainly male cast, he wanted to write a dramatic story with four girls as main characters. The project has changed since its origination, but from the start, I did mention that everybody liked The Blue Hearts. It was a dream of mine to be able to pay homage to the group in a show, and I was able to make it come true. Thank you. Can you tell us more about how Kabaneri’s production was handled? Maiko Okada: I joined the production team during screenwriting. I was in charge of assembling an animation team, choose contributors and handle the planning until airing. Nakatake Tetsuya: It is always hard to work alongside M. Araki, so she spent much time at the studio. Maiko Okada: Almost as much as the director. I couldn’t just go home. Nakatake Tetsuya: M. Araki is very demanding. He wants quality above all and never loosens. After Guilty Crown, I had already brought up the idea of working on a new original series with M. Araki. I have been involved in the project since the start and was in charge of assisting Ms. Okada and M. Araki, by selecting staff members, assigning tasks, organize the fieldwork. However, as said, the hardest wasn’t putting together a team, it is working with M. Araki. Ms. Okada had to be at his side at all times. Kabaneri won the Newtype Award 2016 for the best-animated TV show. How did the team receive it? Can we expect a second season? Maiko Okada: When I was handed the trophy, I could feel all its weight, not only because the trophy was heavy but also because beforehand we didn’t get much feedback about the show. To win this prize allowed us to acknowledge the people’s appreciation for the show. The whole staff is motivated to work on a second season. We still wait for more feedback before we decide to produce it.